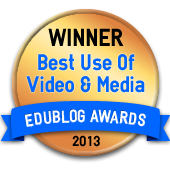 WINNER OF THE 2013 EDUBLOG AWARDS FOR BEST USE OF VIDEO AND MEDIA IN EDUCATION! four schools were looking for a way to help make the process meaningful to their students. to debate each other . we started with an idea and now we want to start a movement! let's connect schools together, so that they can virtually debate each other on all different topics! New School Year New Topics!! click the join IN tab to be a part of this meaningful classroom experience!